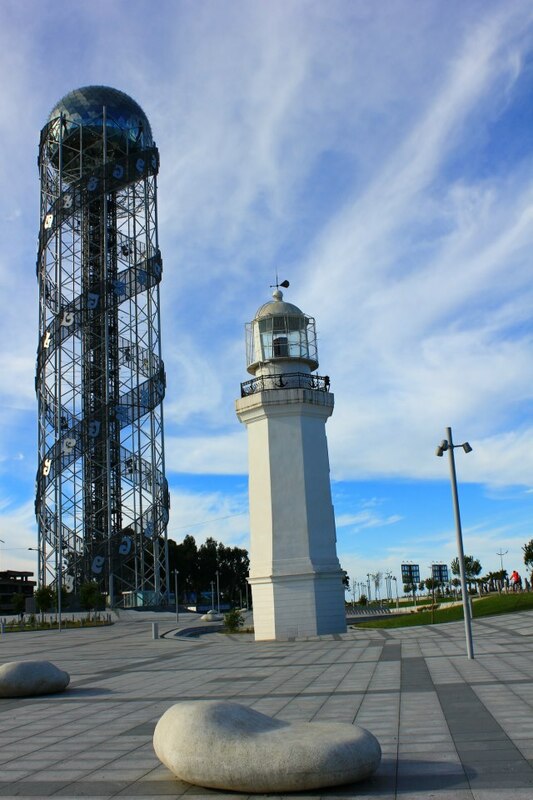 The 21-meter stone lighthouse situated in Miracle Park in the city of Batumi (Georgian: ბათუმი) on Georgia’s Black Sea coast was built by French engineers in 1882. 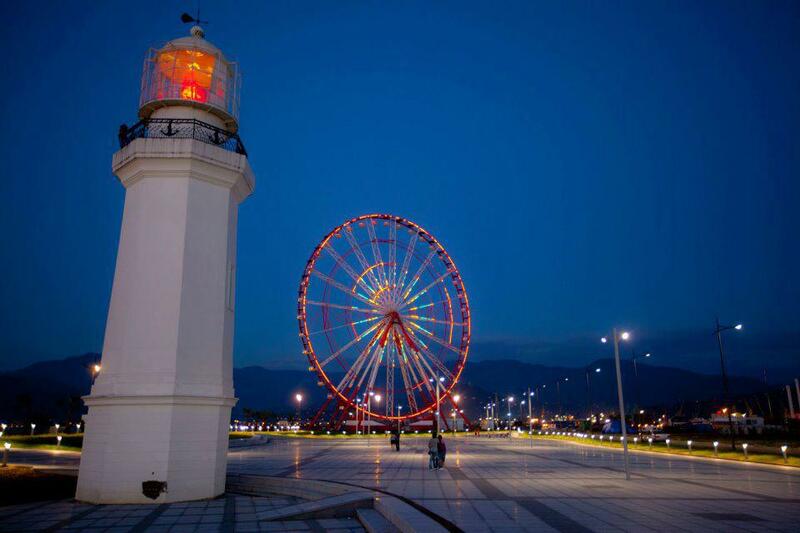 Batumi’s first lighthouse was built in 1863 during Ottoman rule, while the Russians erected a second one in 1878. 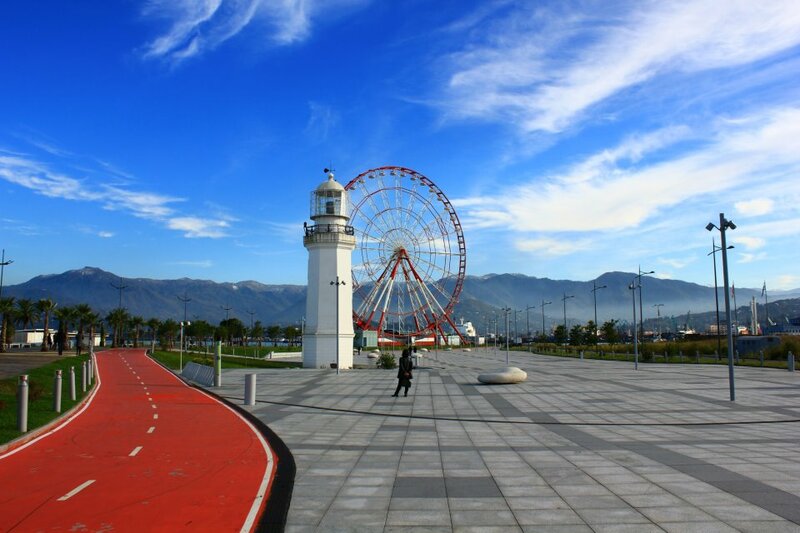 Miracle Park is situated on the last stretch of Batumi Seafront Boulevard and also contains the Alphabet Tower, the Statue of Love and the Ferris Wheel. 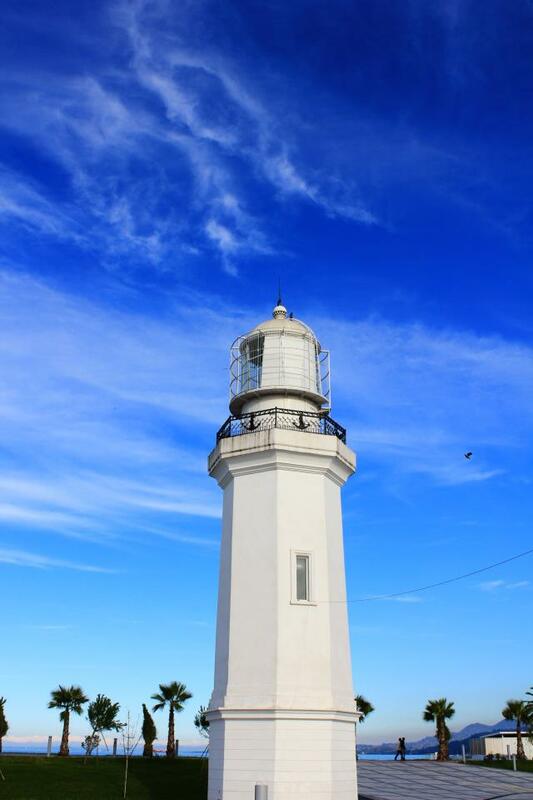 The lighthouse previously had white lights, but they have been changed to red. 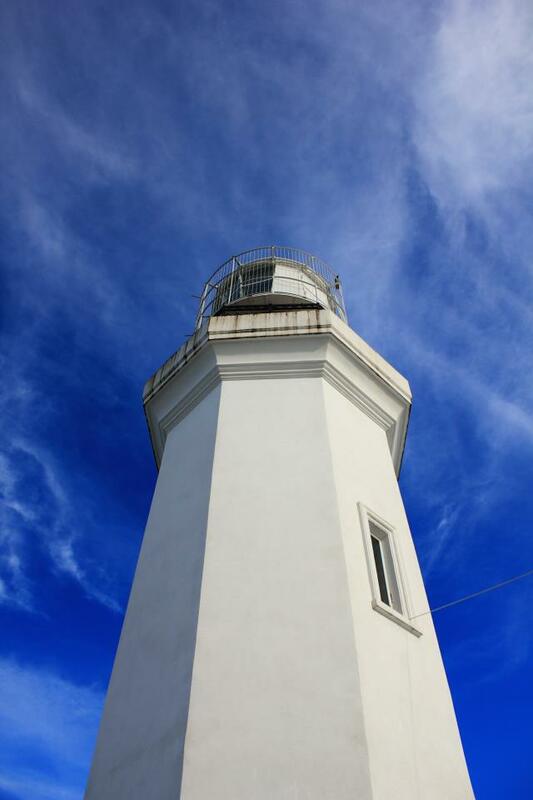 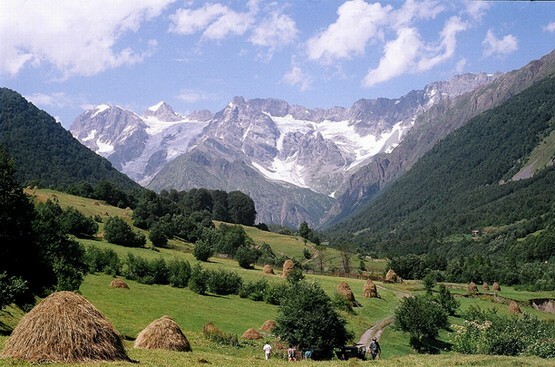 Georgia About recommends a visit to Batumi’s historic lighthouse!